Classic Hot and Cold Water Cooler in Silver from the leading Borg & Overstrom range of water coolers. 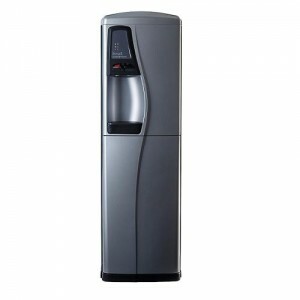 This elegant design will dispense both hot and cold water on demand. A saftey lever reduces risk of accidental hot water dispensing. Typical Borg and Overstrom style and functionality this is a popular unit at a great price. Good idea to buy Water Cooler Install Kit also as fittings are not included.